Hi we have internet public website for anonymous users can view without login, these pages display some reports but still anonymous users can view all site contents and goes to any pages and library of this sites and sub sites. You have two possibilities in this case that doesn't require code. 1) Change the permission level of anonymous users When you change the permission level from "Read" to "Restricted Read" your anonymous user won't see the site contents anymore. Example - You can add anonymous users to the Restricted Readers group. 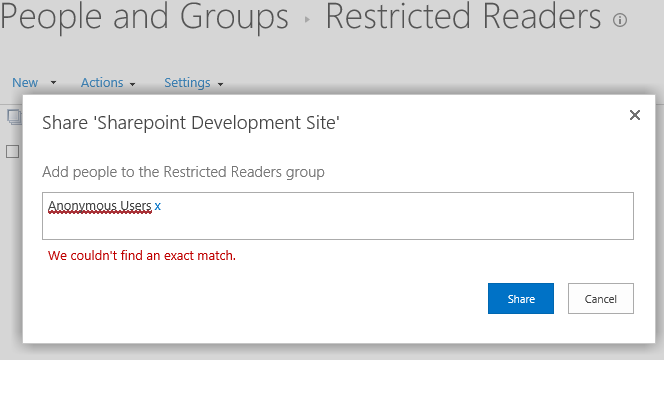 Or Create a custom group and assign "Restricted read" permission to it. The "site contents" is not the only place where user will see this navigation option. It is also available through the gear icon on the suite bar. By changing the permissions or permission level it will be hidden from there too. This feature will block users to view list view pages. Users can able to access all other web pages. 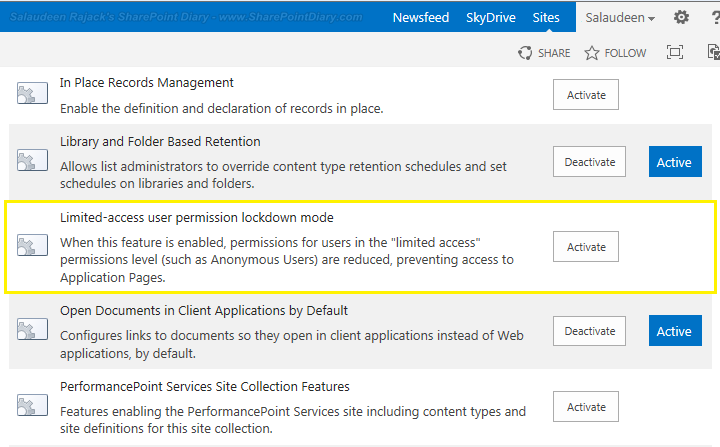 In 2010, we had the FormpagesLockDown feature, however, in 2013 we need to activate this feature "limited access user permission lockdown mode". Not the answer you're looking for? Browse other questions tagged 2013 publishing security-trimming or ask your own question. How do I restrict access to System Pages?